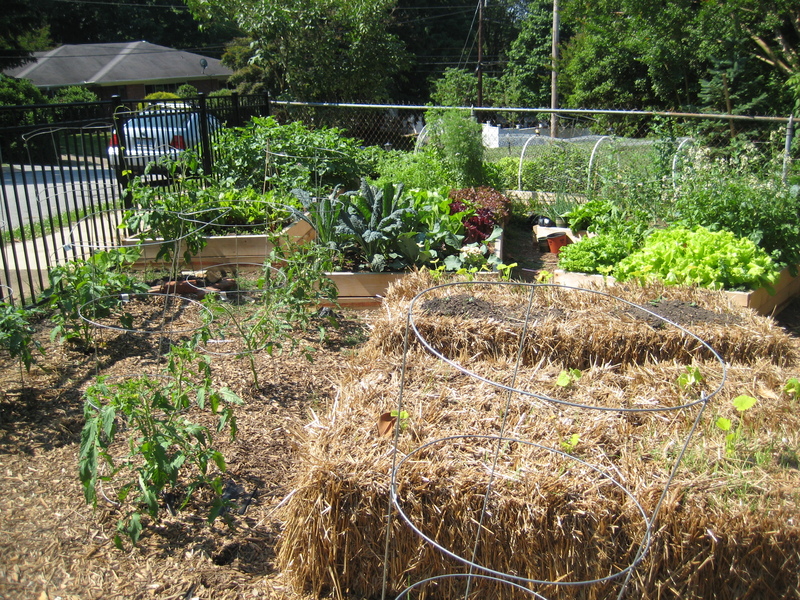 Hay bale gardening. My grade: C minus. 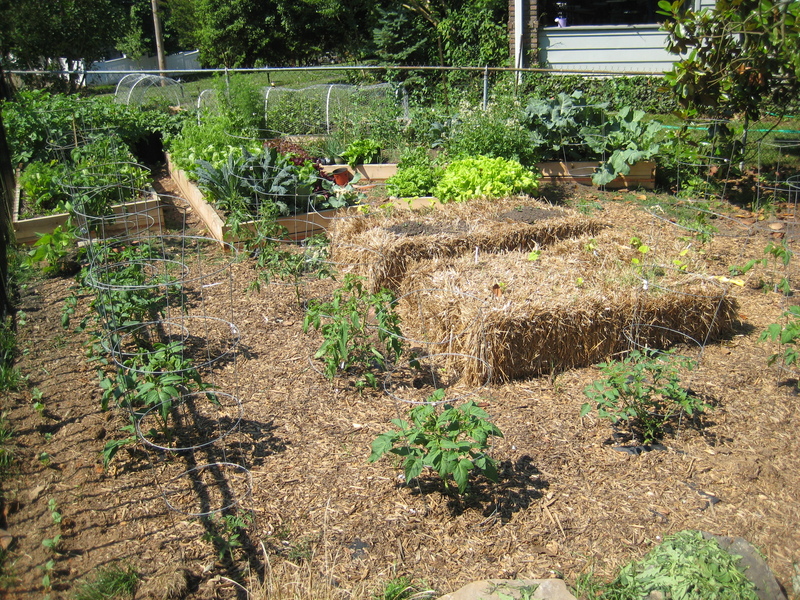 Here you can see the two hay bales I decided to try along with my raised beds last June. I’d heard they were a great space-saver in a garden and provided a great growing medium, so I bought two at the hardware store. I followed directions I’d found googling: place on side, water thoroughly, wait a couple weeks till they start rotting, then plant. So I did. Waited about 10 days till the hay looked like it was composting down, then I planted 6 squash starts in one (crookneck and zucchini) In the other I planted pattypan seeds (I put some compost on top from our compost pile so the seeds weren’t sowed directly into the bale).